HOUSTON (CBSDFW.COM) – Houston Police confirm to CBS 11 a total of five Houston Police officers were shot Monday afternoon reportedly while serving a narcotics warrant. 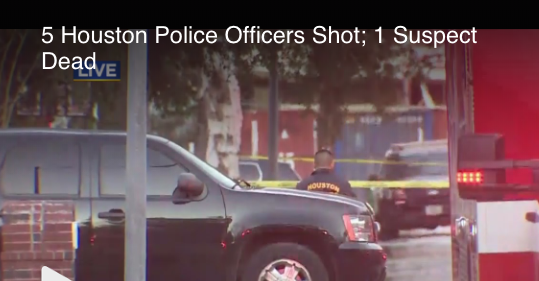 Houston Police said officers have been struck with gunfire following an encounter with a suspect. Officers are en route to the hospital. No word on their condition. Our thoughts and prayers are with our brothers and sisters in blue in Houston, as well as their families.